Dubrovnik is considered a World Heritage City by the UNESCO. Thanks to yacht charter in Dubrovnik, offered by Top Sailing Charter, you are going to enjoy the spectacular walls of Dubrovnik from the sea, walls that house a gorgeous villa whose beauty resides among its streets, buildings and most representative monuments. Visiting Dubrovnik is a unique experience and if you do it from the sea with boat charter Dubrovnik, it will be even better. 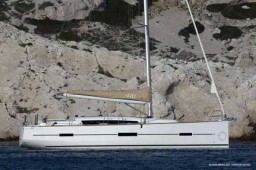 Rent a yacht in Dubrovnik and explore this Adriatic Pearl and the various islands that the Croatian coast has. With yacht charter Dubrovnik you can go diving and practise deep sea fishing, you can find beautiful spots and enjoy the Dubrovnik beaches among many other fascinating experiences. There are many things to do in Dubrovnik! In the Komolac port, which is only 6 km from Dubrovnik, you will find a lot of facilities and services such as reception, currency exchange, laundry, services and showers, restaurant, shop, repair shop, 60 travel lifth, parking, gas station, yacht charter Dubrovnik... To sum up, Komolac is a magnificent port to start your own nautical trip with boat charter Dubrovnik.